Everyone likes to have some snack foods to help them get through the day, but going to the grocery store is such a drag! I know that I never want to go, especially if it is just for a few extra snacks or little items. Luckily, we've got you covered! If you like the idea of having special assortments of snacks shipped directly to the doorstep of your home multiple times a month, we believe snack subscription boxes might be something worth looking into! Today, we're bringing you a review of what we believe to be the top 10 snack subscription box companies on the market! We want to make sure you are getting the value you deserve if you are investing in a weekly, bi-weekly, or monthly subscription, depending on which subscription service you're interested in. In this review, you will find enough information to determine which one is best suited for you. Taste, ease of preparation, variety of snack options, value for cost, customer reviews, and customer service. Value for Cost: We believe value for cost is one of the most important things to take into consideration when rating snack subscription boxes. 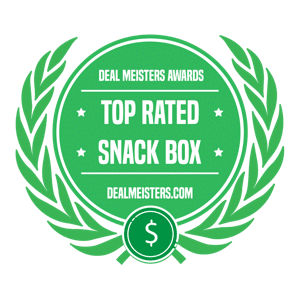 We look at the lowest prices you could possibly be paying with each snack subscription box, the average price, and how much you would pay in store for the food items you are receiving in your personal snack box or gift box. We also consider the availability of certain items. For example, you might pay a little more for international treats because you wouldn't be able to get your hands on them in first place. Customer Service: We always take a deep look into the customer service that each snack subscription box company provides. Customer service takes care of cancelling subscriptions, managing subscriptions, and simply being responsive when you have a question or need their help! Customer Reviews: We also believe it is important to take a look at the public perception of each snack subscription box. We make it a point to get the opinions of real customers, so that you can be even more confident that you are subscribing to a reliable snack subscription box company! Using our rating system, we have put together a list of the top 10 best snack subscription boxes. We have sorted each subscription service in order of "best overall rating." Graze is another healthy snack subscription box service that provides a convenient way for snack enthusiasts to get their hands on vegetarian, vegan, and even gluten free snacks. Furthermore, they offer snacks without non-genetically modified ingredients, no high fructose corn syrup, no artificial sweeteners, flavors, or coloring, no trans fats, and no hydrogenated oils. You will be asked to answer questions based on your tastes and preferences. Graze will then make you a box based on your answers that will be sent to your door! You can also choose pre-made boxes. Click here if you need some more information on Graze. If not, get your first box here! 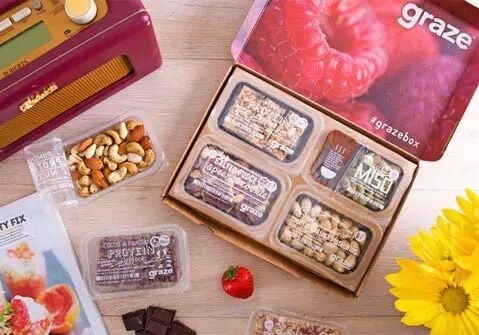 Who Should Try It: Graze is a reliable snack subscription box service that is absolutely worth it for customers who are looking for simple, convenient, and extremely healthy snacks! Urthbox is a healthy snack subscription box service that caters to those of you who are vegan, gluten free, or maybe just on a diet/want to eat healthier. You get a great selection of box sizes and great variation of snacks within each box. Your account is very easy to manage and their customer service is very helpful. It is hard to find a great selection of gluten free snacks, vegan snacks, and high fructose corn syrup free snacks. Fortunately, Urthbox has you covered. Simply order the snack box you would like, and wait for it to come right to your doorstep. To learn more about Urthbox, click here to read our review, or get started now! 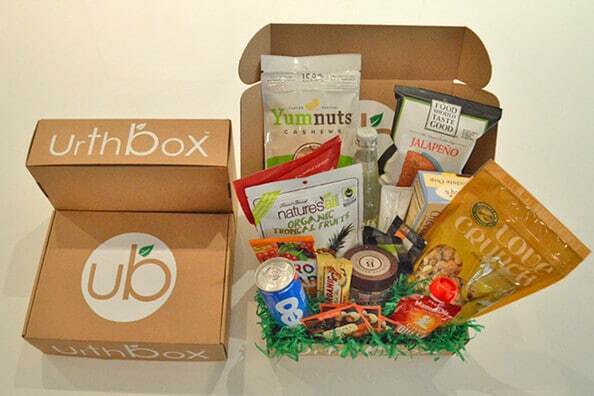 Who Should Try It: Urthbox is great for people who are looking for an affordable way to eat healthy snacks. 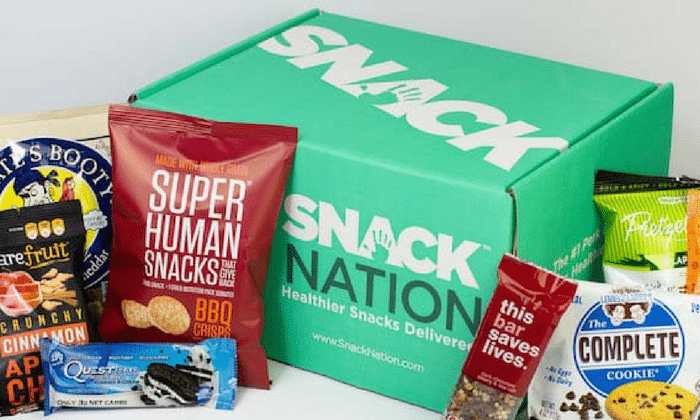 SnackNation is a healthy snack subscription box service that provides offices with large assortments snacks. They make large boxes for offices, smaller boxes for individuals, and even offer individual snacks on their website. SnackNation places a huge emphasis on their attempt to improve workplace culture! Healthy snacks will most likely excite your coworkers, and in turn, make a difference in productivity. If you think your office would enjoy SnackNation, check out our full SnackNation review for more information, or you can get right to it by starting here! Who Should Try It: SnackNation is great for people who work in an office and are tired of always end up snacking on junk food! Green Blender is a smoothie ingredient subscription service that provides you with close to 100% organic ingredients that are purchased at local organic farms. You get a new box every week that includes 10 servings of pre-portioned ingredients. There are 3 different subscription box plans that you can choose from, and all subscriptions renew weekly, after 4 weeks, or after 12 weeks depending on which subscription plan you choose. You will also be learning which ingredients work with certain smoothie recipes along the way! It's actually a lot of fun! Sound like something you might be interested in? 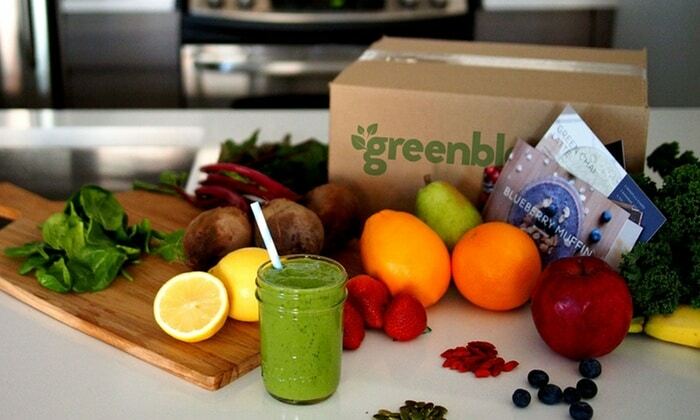 Our full Green Blender review will provide you with more details, but if you're already sold, you can order your first box of smoothies here. Who Should Try It: Green Blender is great for people who are looking for an easy way to get in the habit of drinking smoothies, and trying to live an overall healthier lifestyle. SnackFever is a snack subscription box service that supplies you with a great variety of snacks, cookies, candies, chocolates, gum, jelly, ramen, and other bonus items. 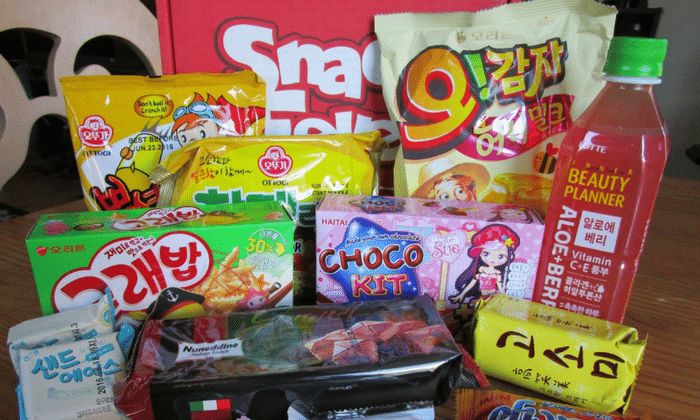 All treats come from South Korea, which makes it a great opportunity for those of you who love trying international treats. They have a plethora of different box sizes and payment plans, which makes it easy for you to get started. You can find more information in our SnackNation review, and you can at least check it out and possibly get started here. Who Should Try It: SnackFever is great for those of you who are interested in experiencing Korean snacks and getting a small peek into their culture. Japan Crate is a snack subscription box service that lets you experience Japanese culture through food. They offer great tasting Japanese treats that have easy-to-read labels. While they do not have many options for vegetarians and vegans, it is nice to have ingredient labels so you know for sure! You can't just make a quick trip to the grocery store and buy these treats. We love how exclusive these treats are, which adds to the Japan Crate experience. Because of this, we believe it is well worth you money! More information is available in our Japan Crate review, or you can simply check Japan Crate out here! 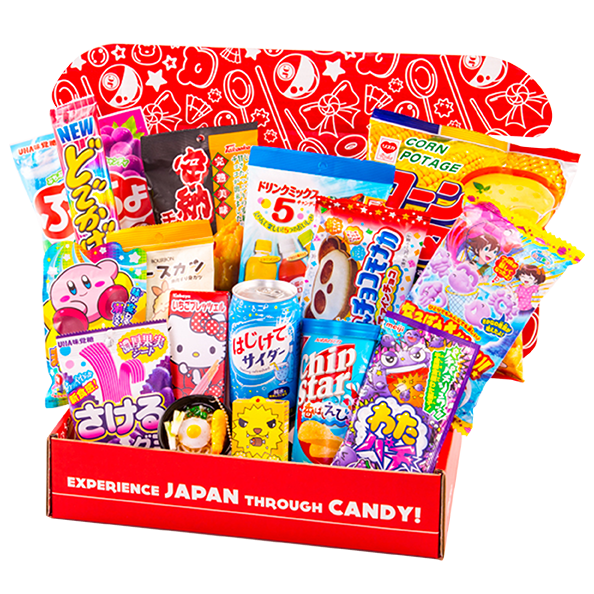 Who Should Try It: Japan Crate is great opportunity for anyone looking for an affordable way to experience Japanese culture through a variety of exciting snacks. 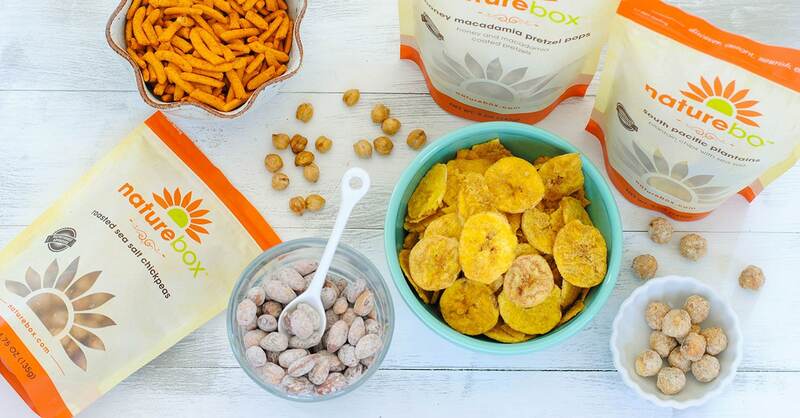 NatureBox is a healthy snack subscription box service that will ship your snack orders right to you at your home or your office. You simply pay a $5 membership fee every month in exchange for access to hundreds of snacks. NatureBox has many of their competitors beat because you can choose any snacks you want, as well the quantity of snacks. They are able to do this because they are a membership company, as opposed to subscription. You could make the comparison to Costco or Bj's Wholesale. For both companies, you pay a membership fee, and in return, you can go to the store at any time. They offer items in bulk, ultimately making the membership fee worthwhile. NatureBox is the same concept. If you want to learn more about NatureBox, we recommend reading our NatureBox review, and if not, you can get started here! Who Should Try It: NatureBox is great for those of you who are would like to pick which individual treats you want, and at what quantity you want them. This way you get the exact monthly box you want! MunchPak is snack subscription box service delivers international treats right to the doorstep of your home or office. It is fairly priced, customizable, and very functional. It is easy to manage your account and subscription, as well as cancel the account when you are finished with it. There is no funny business, no secrets, and no jokes. Love trying international treats? Get your first box here! If you need more information, we recommend looking over our MunchPak review. Who Should Try It: MunchPak is great for people who love trying new, cultural foods from countries all over the world! 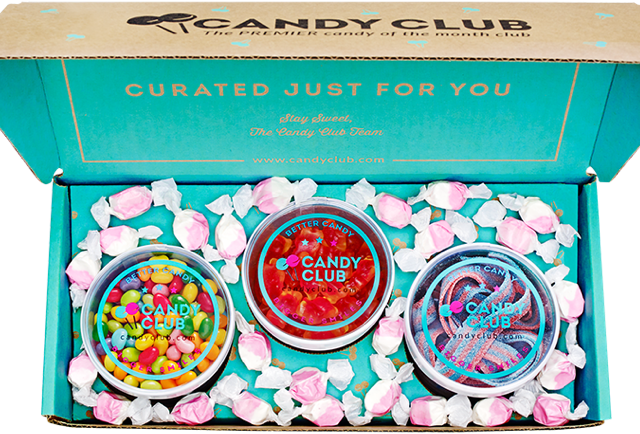 Candy Club is a snack subscription box service that sends a variety of chocolates and other candies directly to the doorstep of your home or office. Candy Club has reliable customer service, simple ordering, and is a very good deal for the variety of treats you receive! For more details, check out our Candy Club review, or you can get started here. Who Should Try It: Candy Club is great for those of you are looking to satisfy your sweet tooth with a variety of candies to choose from! 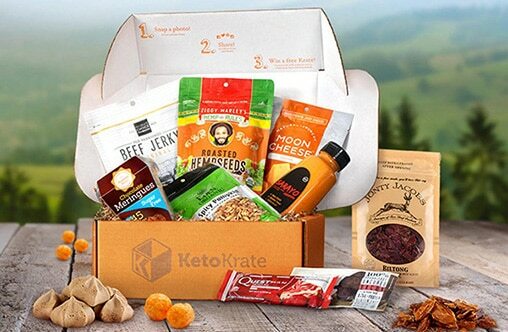 Keto Krate is a snack subscription box service that sends healthy snacks to the doorstep of your home every month. They place a special emphasis on the keto diet, which is a diet that is specially focused on burning fats rather than carbohydrates. All of their snacks have a maximum of only 5 carbohydrates. They are all gluten free snacks that are malitotal free and aspartame free. To top it off, all of their snacks are soy and sucralose conscious! If you'd like to give it a try, get started here, or check out our Keto Krate review if you need more information! Who Should Try It: Keto Krate is a great opportunity for those of you who are interested in the keto diet, or for those of you who are already on the keto diet! So there you have it! We believe these are the top 10 best snack subscription boxes on the market. We hope you enjoy the snack box subscription of your choice! There are several other snack subscription box services that we really like even though they didn't quite make the cut for our list. Here is a list of several others that may still be worth checking out: Bocandy, Universal Yums. My daughter started the Keto diet a few months ago and has always had trouble finding good tasting keto friendly snacks. After trying many recipes she found online and spent a lot of money on, we decided to try Keto Krate. We have received many great tasting products so far along with a few we didn’t care for. Thanks, Keto Krate. Thanks for your feedback, Lisa! I’m glad your daughter decided to try Keto Krate. I hope she continues to enjoy to find the right snacks she’ll enjoy. 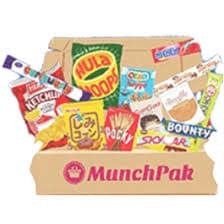 I’ve compared MunchPak cost to other snack boxes and I think it’s a great price. I went with the original MunchPak size for me and my kids to share. We are definitely enjoying the wonderful snacks. Thanks, Amy for your feedback! I’m glad you and your kids enjoy the snacks. I thought they had a great price too for the number of snacks you receive. If you’re looking for great tasting healthy snack I highly recommend Graze. They taste amazing and are great for my afternoon snack at work. My husband eats them too and he’s usually very picky . Thanks for sharing with us, Kelly! Really happy to hear you’re a satisfied subscriber.